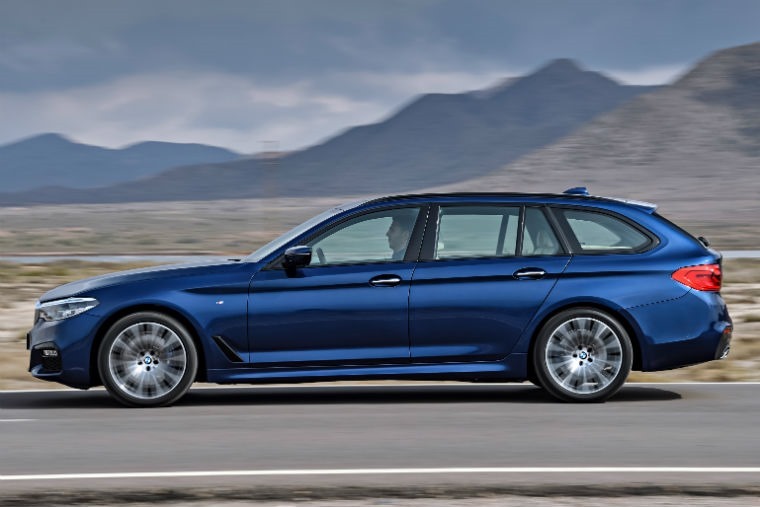 The BMW 5 Series Touring has always enjoyed a lot of success across Europe, upholding a long tradition of being a perfect estate car for the premium driver who wants it all. With this new version, debuted at the Geneva Motor Show, the manufacturer looks to raise the model’s signature combination of driving pleasure, aesthetic appeal, and innovation to an even higher level when it goes on sale in June. With a body design that is perfectly balanced and exudes sporting performance and versatility, it is slightly larger than the outgoing model. 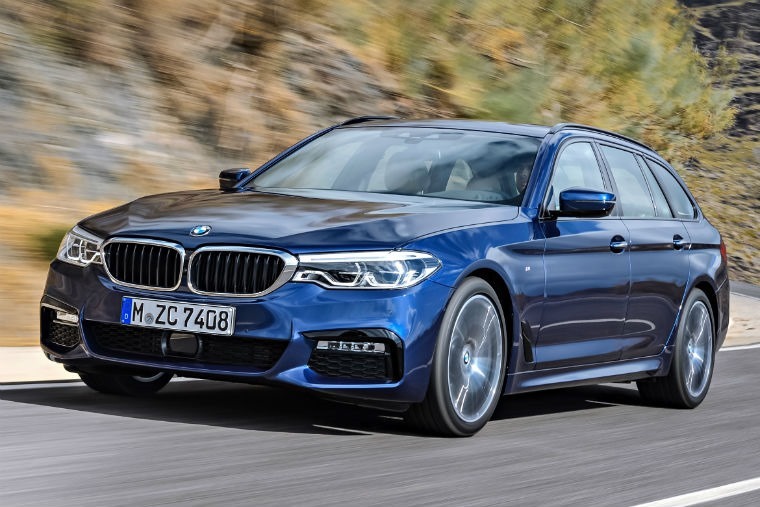 The 5 Series Touring therefore provides noticeably more space for passengers and luggage and the comfort for rear-seat passengers has been optimised. 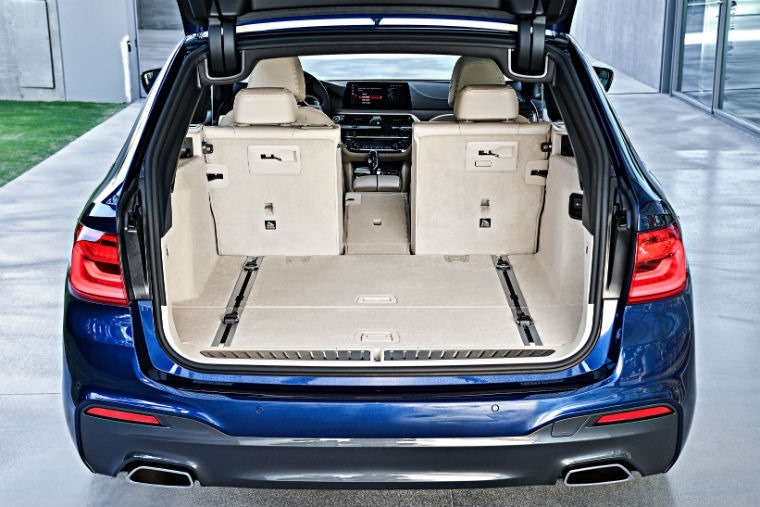 Even with all seats occupied, the new BMW 5 Series Touring’s load compartment can hold 570 litres of gear – ten litres more than its predecessor offered and can be extended up to 1,700 litres if required. This 40:20:40 split/folding rear seat backrest can be lowered at the touch of a button in the load compartment, with tilt angle adjustment for the backrest is available as an option. The load compartment cover and partition net are stowed in separate cartridges in recesses underneath the load compartment floor, and a separately-opening rear window and automatic tailgate operation also form part of standard specification. Comfort Access (optional) includes hands-free opening and closing of the tailgate. At launch there will be four engines to choose from – two of these will be combined with the BMW xDrive intelligent all-wheel-drive system while other variants will follow during the course of the year, teaming up with conventional rear-wheel drive or all-wheel drive. Engine efficiency, optimised aerodynamics and weight reduced by an average of 100 kilograms compared to the equivalent outgoing models mean that fuel consumption and emissions have been reduced by up to 11%, depending on the engine variant. 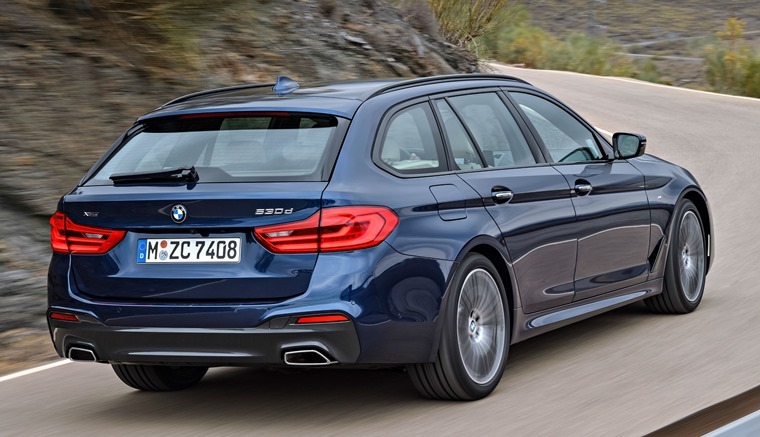 The new BMW 5 Series Touring also offers a more harmonious balance between agility and ride comfort than ever before. Standard equipment includes self-levelling air suspension at the rear, while Dynamic Damper Control, the Adaptive Drive system with active body roll stabilisation, Integral Active Steering – which is now also available in conjunction with xDrive – and M Sport suspension can be specified as options. 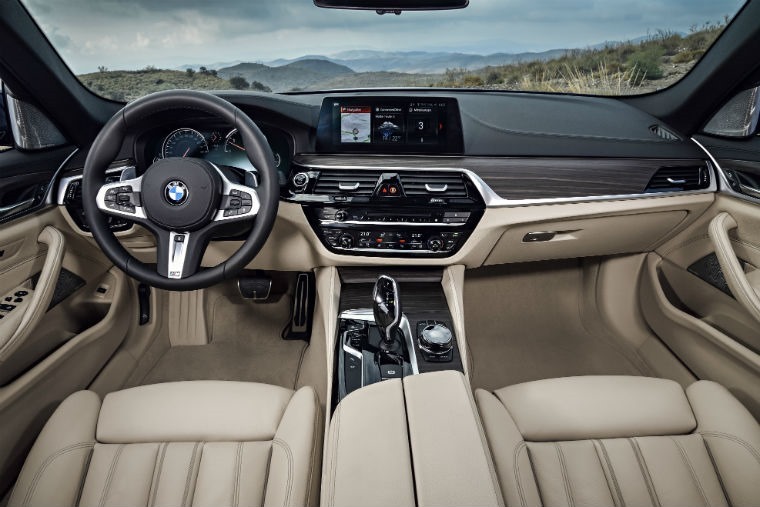 The display and operating concept now encompasses a touchscreen monitor and BMW gesture control, and new assistance systems like the steering and lane control assistant represent another step towards automated driving. Remote Control Parking is also available for the new BMW 5 Series Touring, and other highlights in the field of intelligent connectivity include the innovative On-Street Parking Information service. The BMW 5 Series Touring is available to order now priced £38,385 OTR.